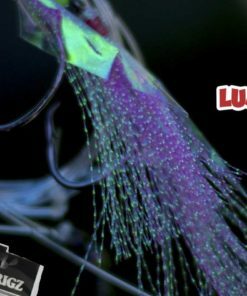 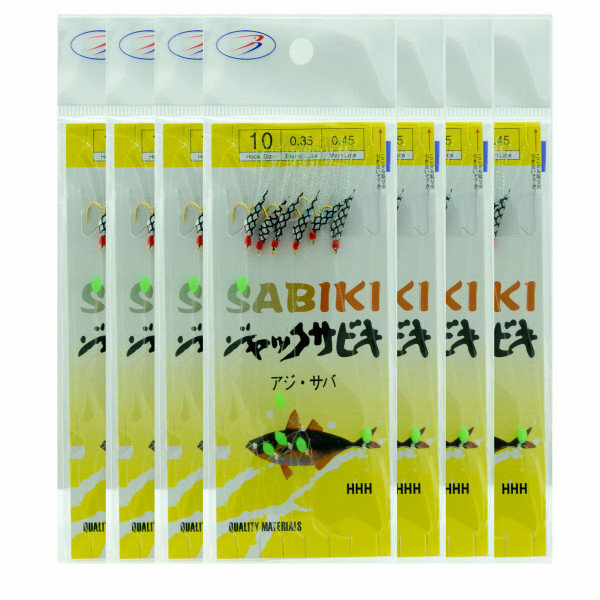 Bait rig For the Serious the Fisher man Pre made Sabiki Japanase Jig with Live bait Pattern Design for Collecting Bait Easy offshore . 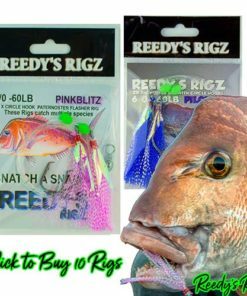 a Simple jig in a Paternoster style bu with 7 Hooks Per Rig making Jigging for bait a quick & Easy processes , Supper Easy to jig up Fresh bait for Kings & Tuna Simple see the bait on the sounder & drop jig Slow Retreve & you Should see your Bait fish jig Sabiki Jig Full . 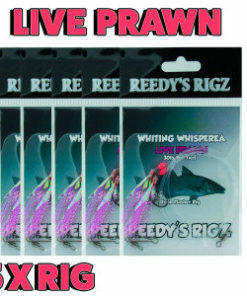 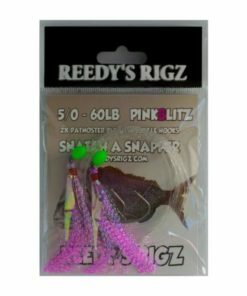 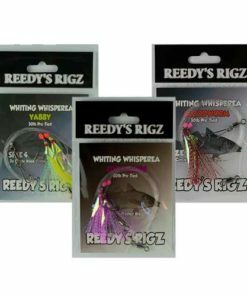 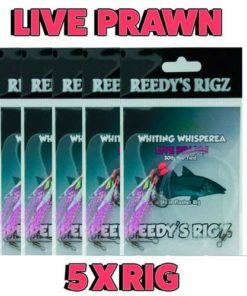 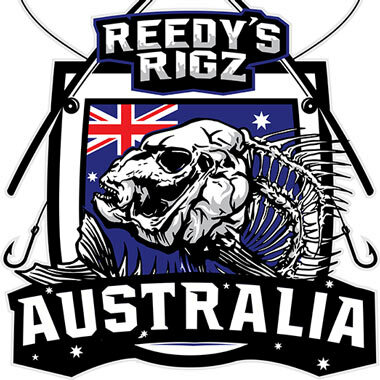 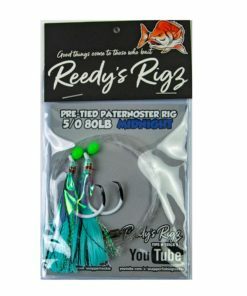 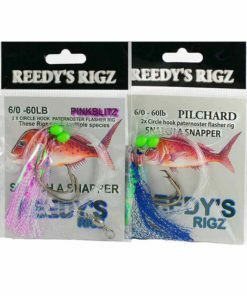 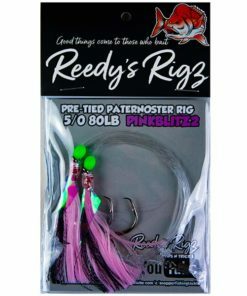 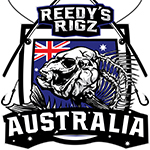 Awersome For slimy mackerel , Scad , Pilchard , & many Other bait fish get jigging today with Reedy’s Great vaule Pack Deal 8 jig Pack . Jig up some live bait with these Sabik jigs . 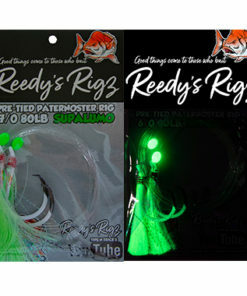 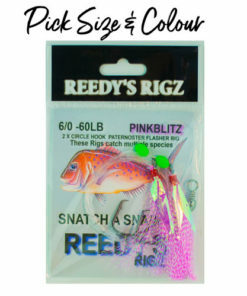 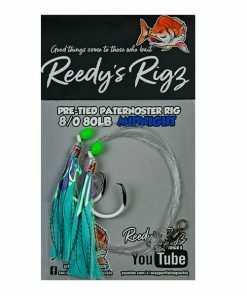 great for catching bait before heading offshore fishing for kingfish and other types of fish that require live bait , simple jig to use find bait on the sounder low jig slowly retrieve slimys mackerels should jump on the flasher lure if having no luck try baiting the hooks with small pieces of squid .One of the most commonly used baits is the yellow-tail scad. 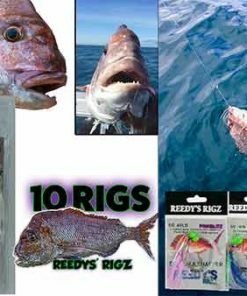 Called a Yakka by most anglers, huge schools of these Yakka’s can be found offshore and in bays, around piers/jettys and pretty much anywhere. 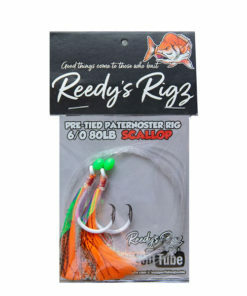 It is relatively easy to spot them on your sounder. 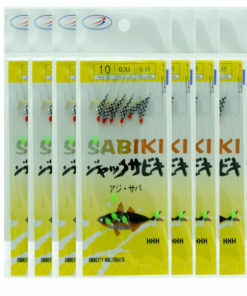 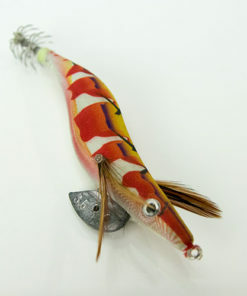 Yellow Tail scad can be fished live or rigged and trolled over a wreck or reef, past rock walls.Does a Sabiki rig need bait ?To fish a Sabiki rig you just need to bait the rig with small piece of squid or small chunk of pilchard Sabiki rigs will work fine with no bait, but alot better with bait.Fishing the rigTie the flasher rig to your main line with a small sinker attached to the bottom of the rig, look on your sounder and analyse what depth the bait fish are at and drop down your bait jig . 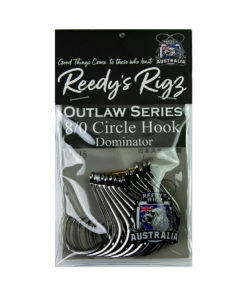 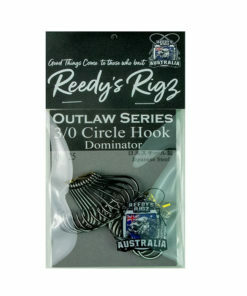 Once your hooked up to a Yakka be careful not to wind them up too quick as they have soft mouths and can come of the jig very easy, a slow wind is best and to hook them just simply lift your rod in a slow manner when you detect a bite.